I found this recipe here. I was looking for something to serve my boys for their North Pole Breakfast. This was simple to make and delicious. I only made one candy cane. The original recipe makes two. 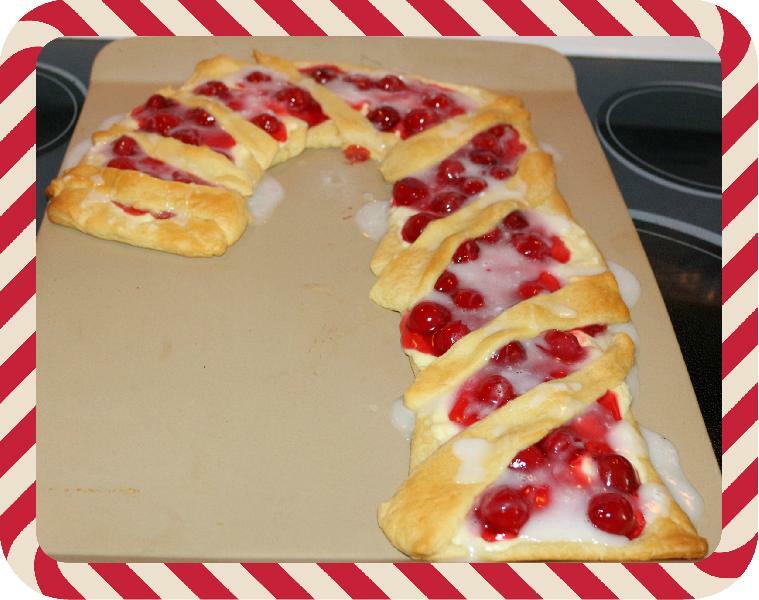 On a baking sheet, lay out the crescent rolls from 1 can to form the shape of the candy cane. Next combine the cream cheese, egg, and vanilla. 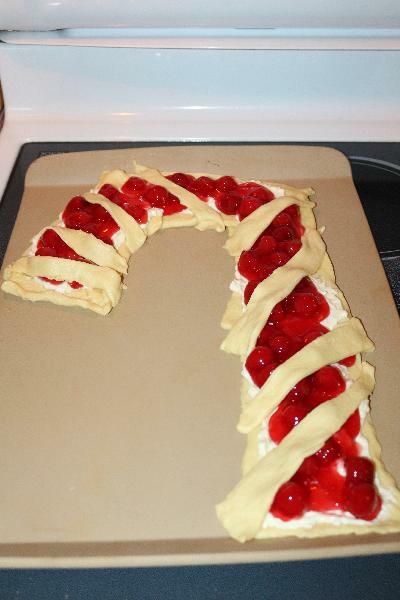 Spread the cream cheese mixture over the candy cane. Then put the cherry pie filling on top of the cream cheese mixture. 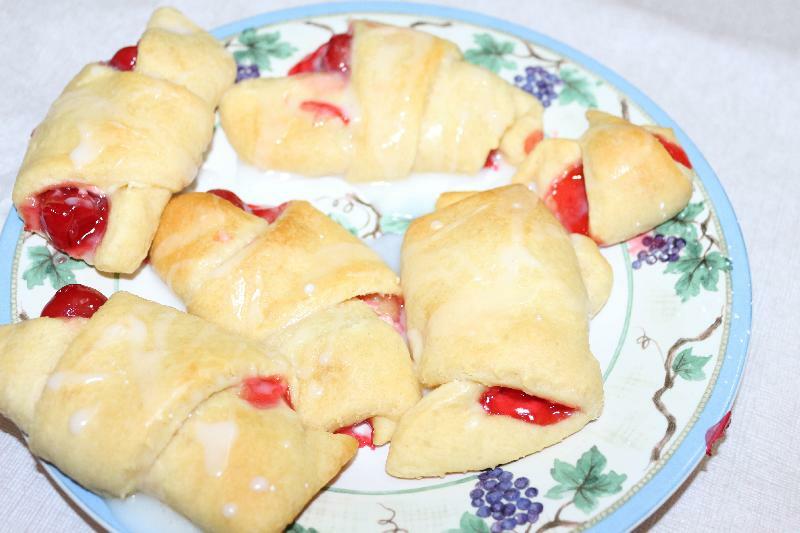 Finally cut strips out of the remaining crescent rolls and lay over the candy cane.